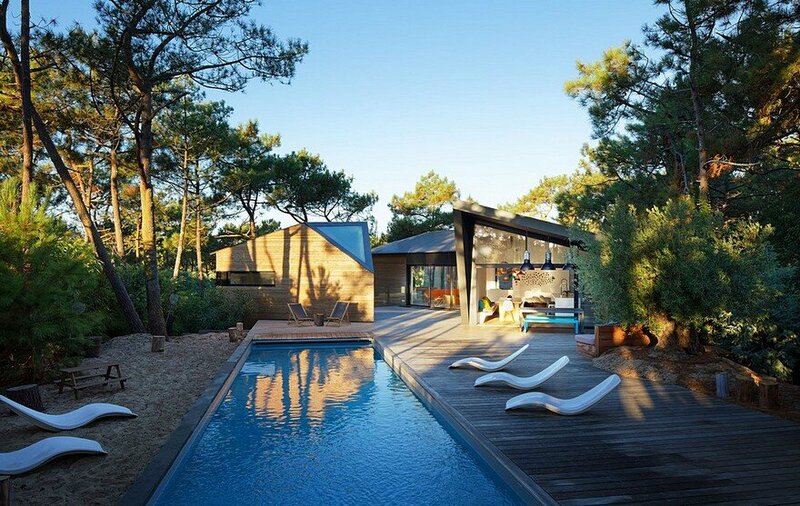 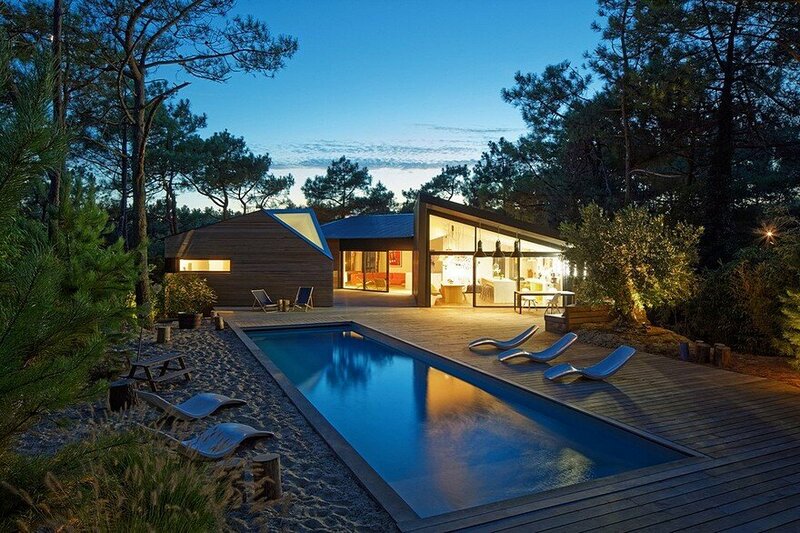 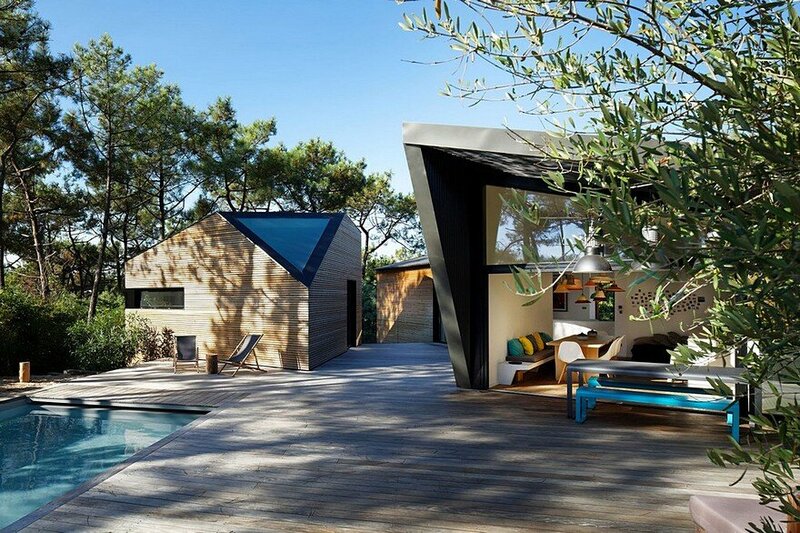 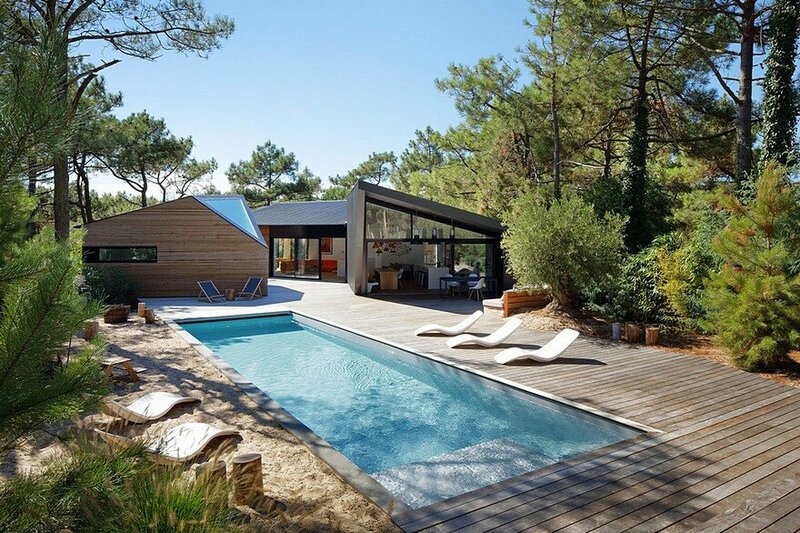 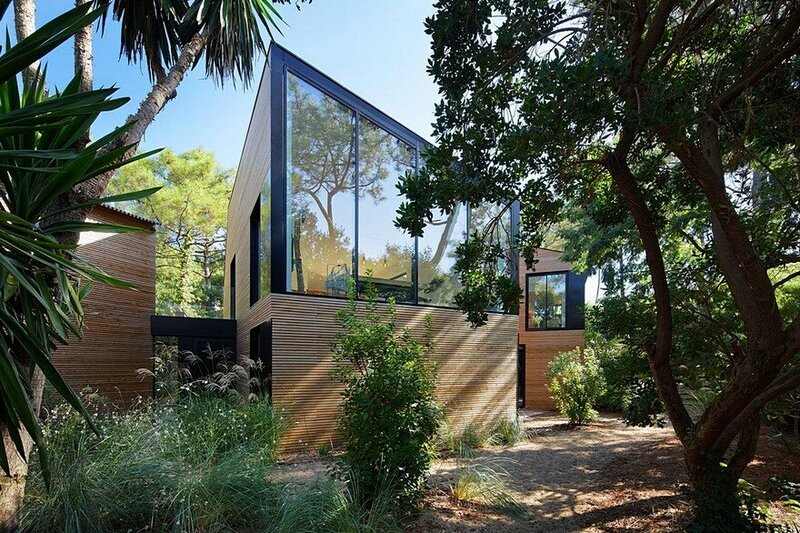 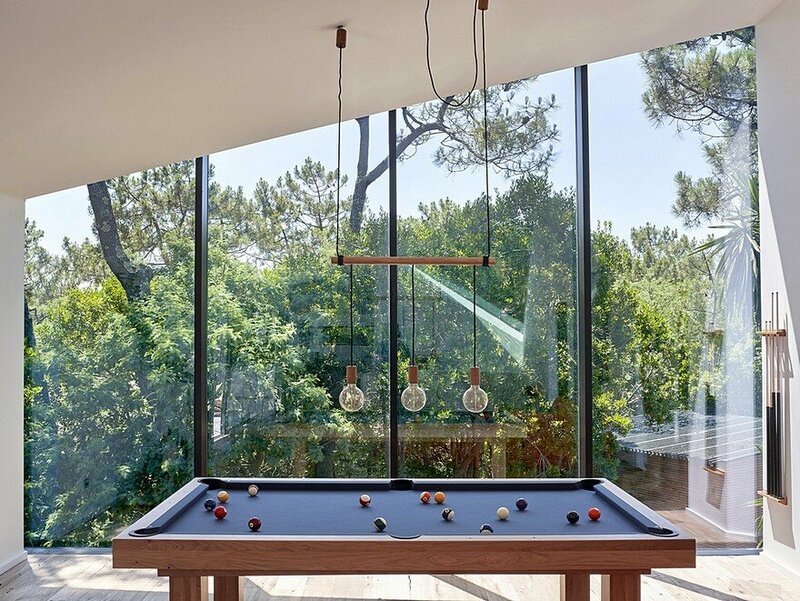 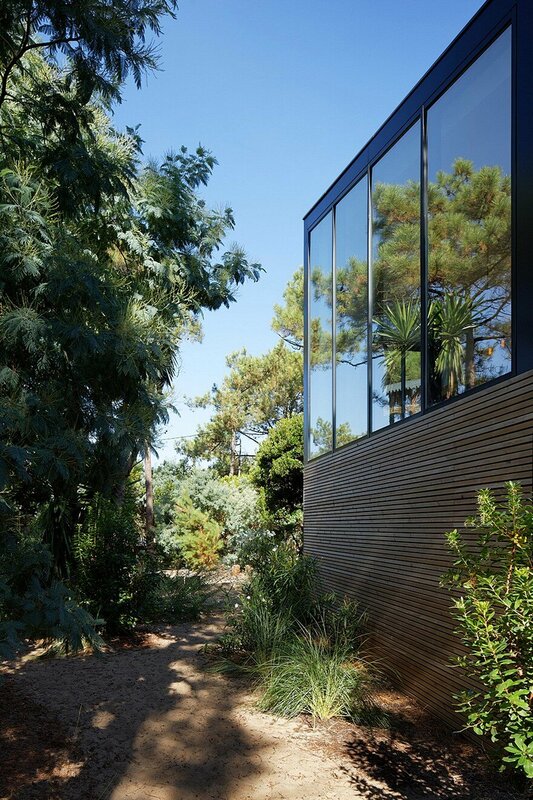 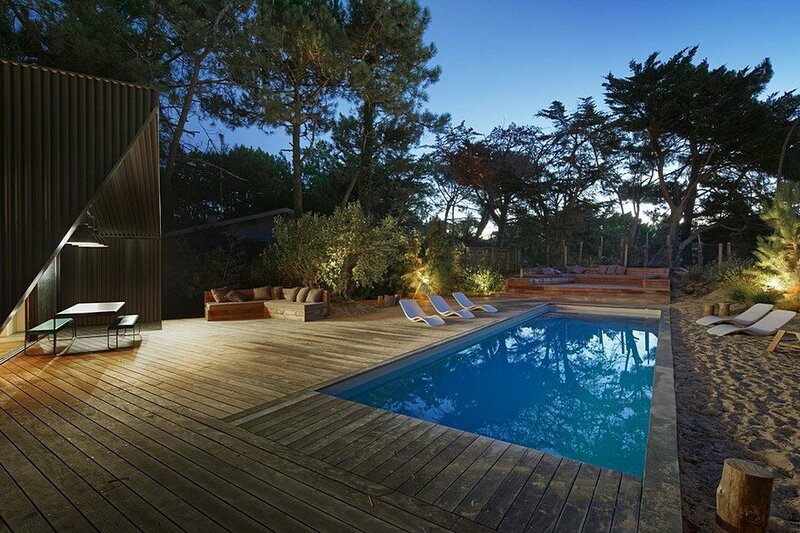 The terrain that slopes gently towards the sea is typical of Cap Ferret: a small forest of strawberry tree, yucca and pines. 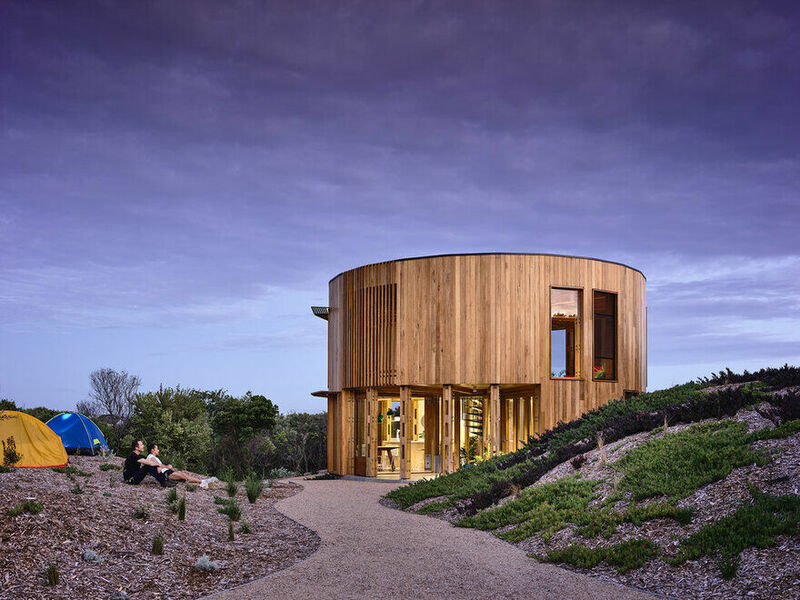 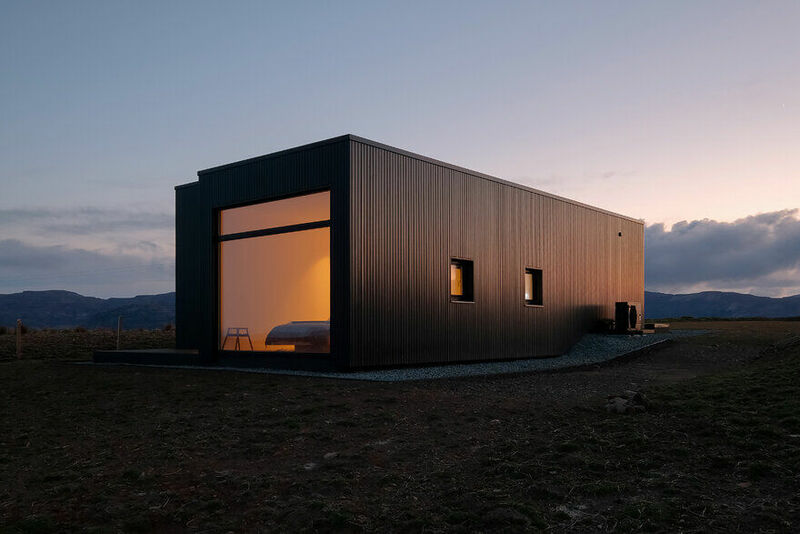 The challenge was to design a modern holiday house that would exist in harmony with its surrounding landscape and have a limited impact on the existing vegetation. 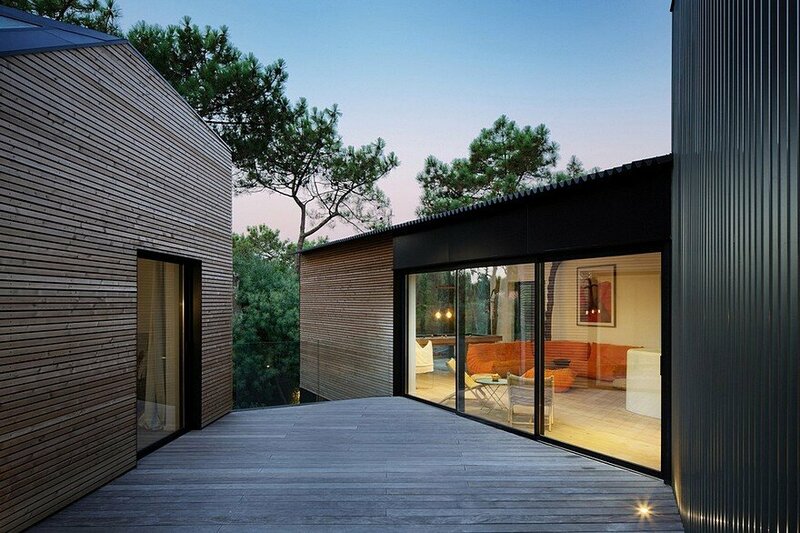 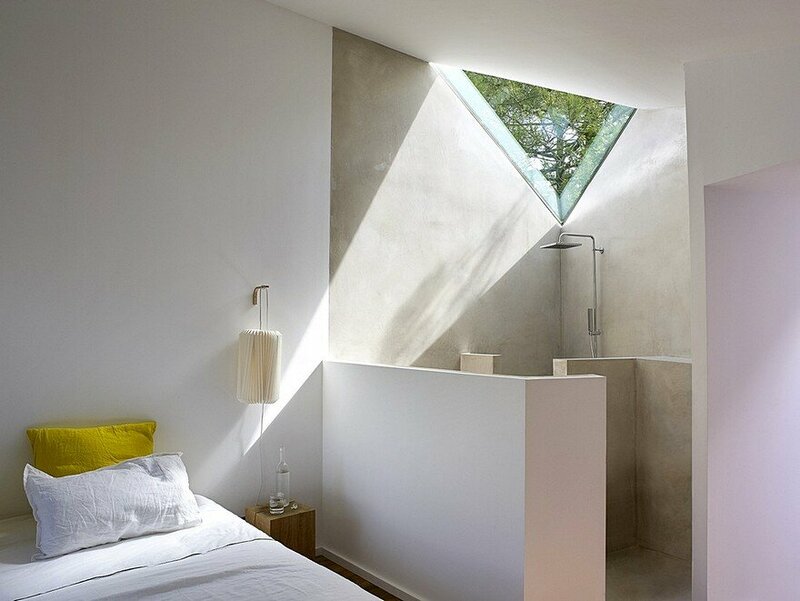 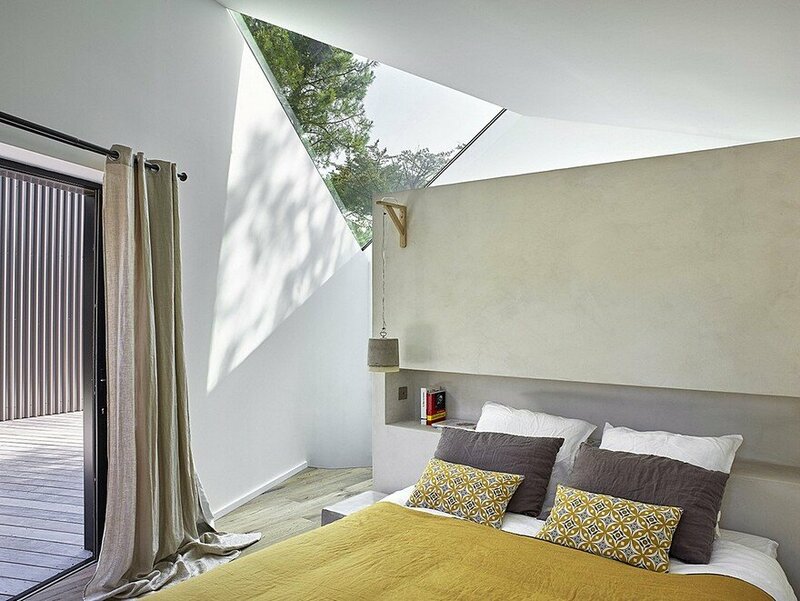 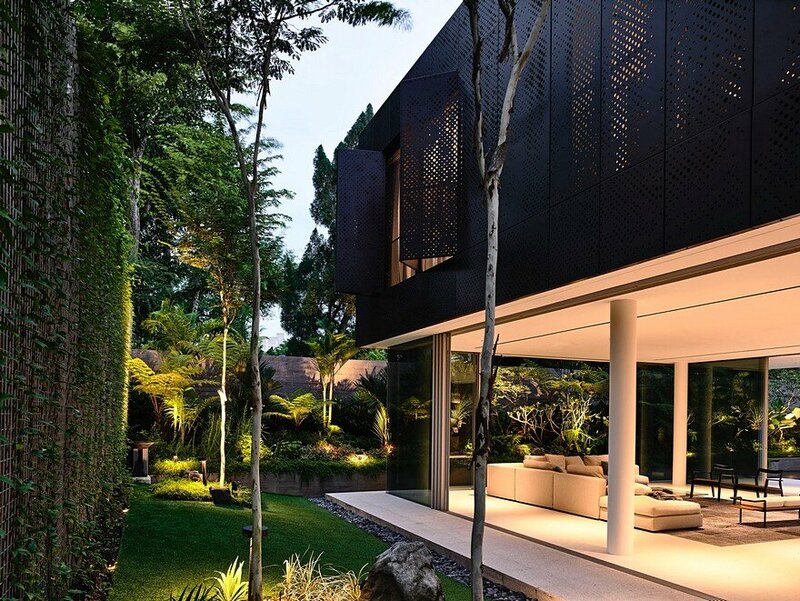 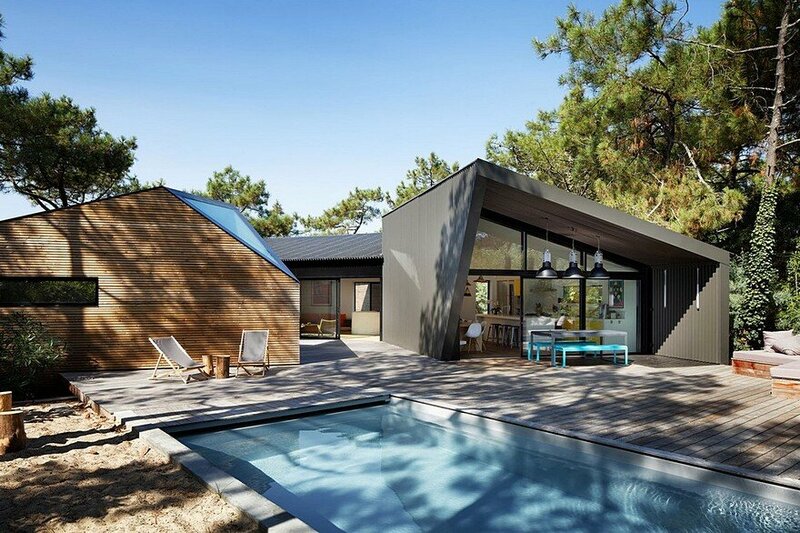 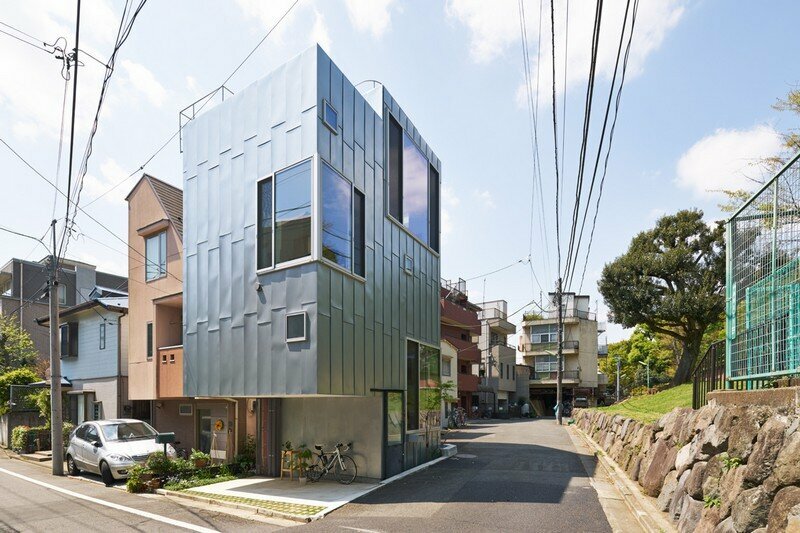 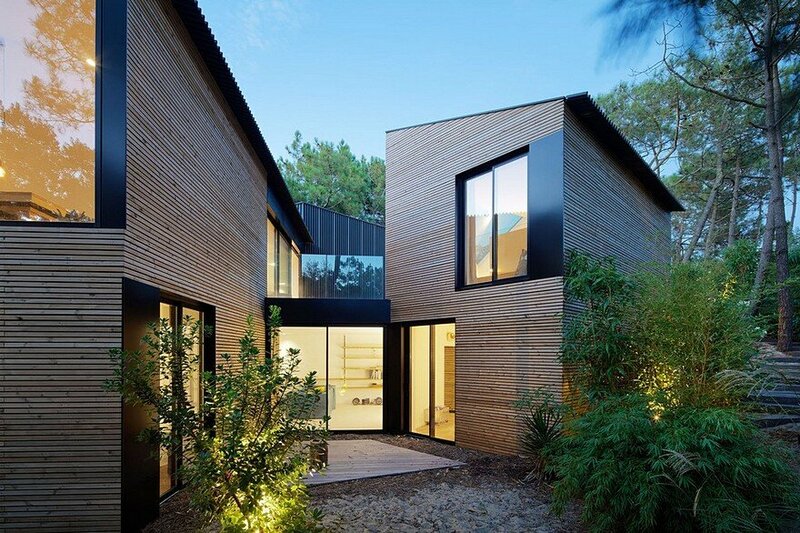 The construction blends into the topography of the terrain. 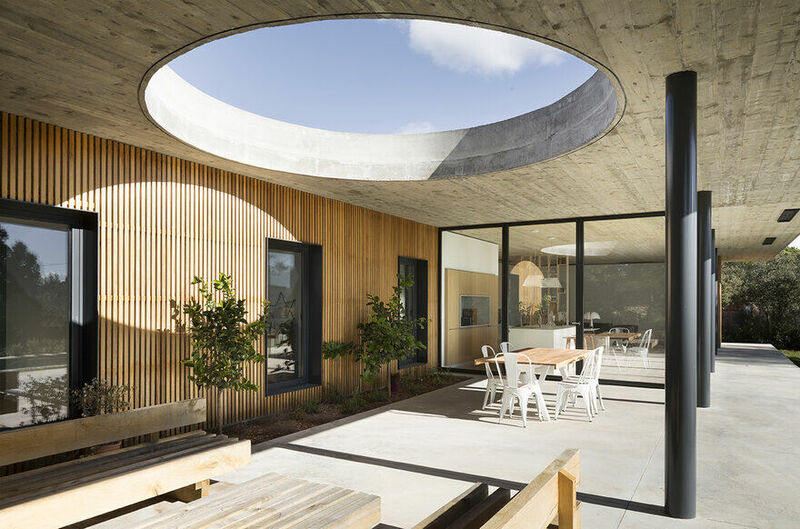 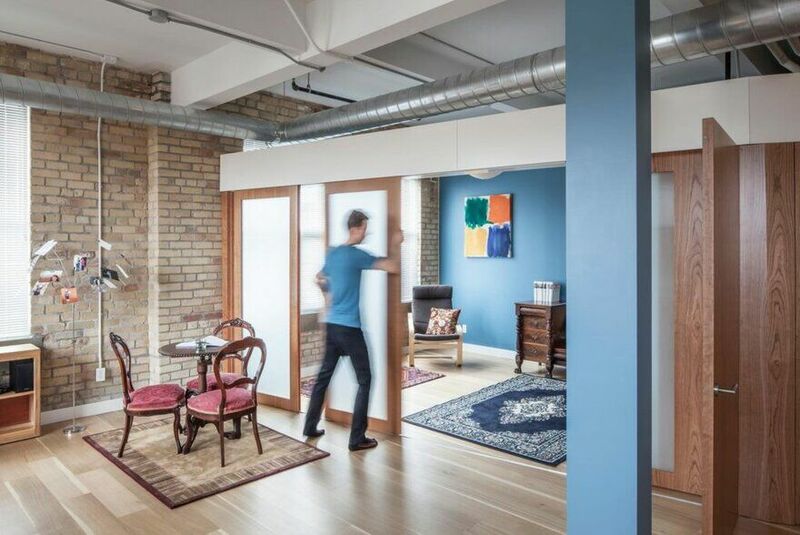 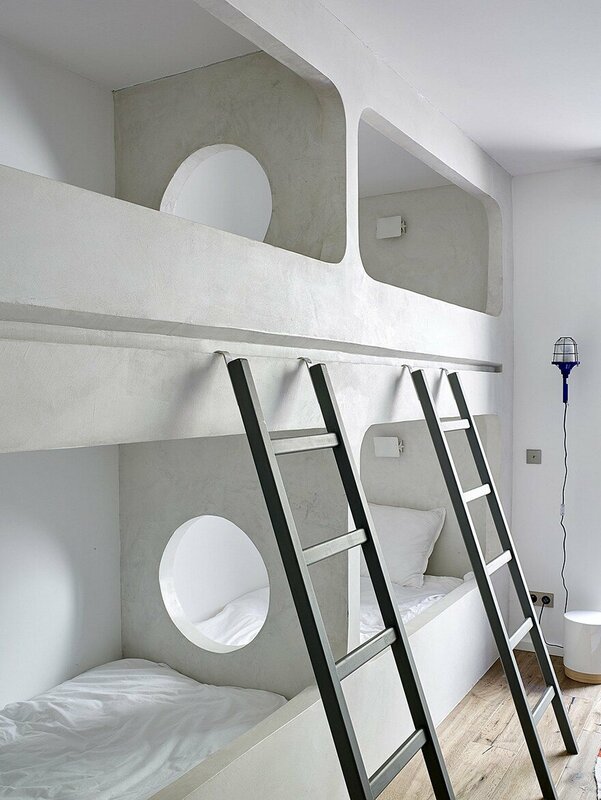 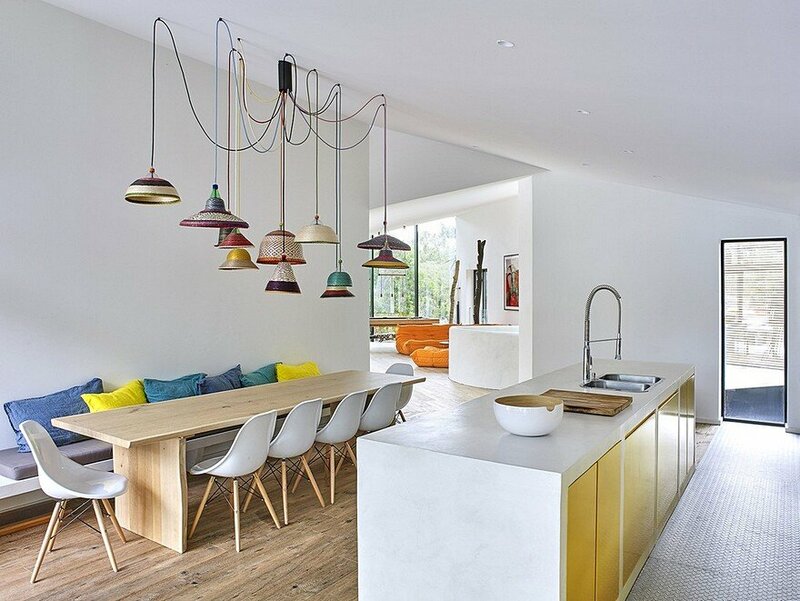 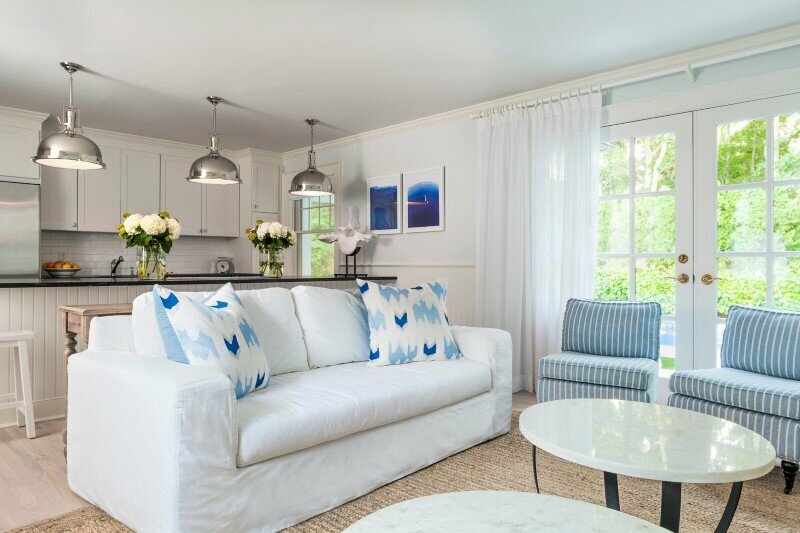 The spaces were designed for a large sibling so that everyone, while getting together, can still benefit of intimacy and calm. 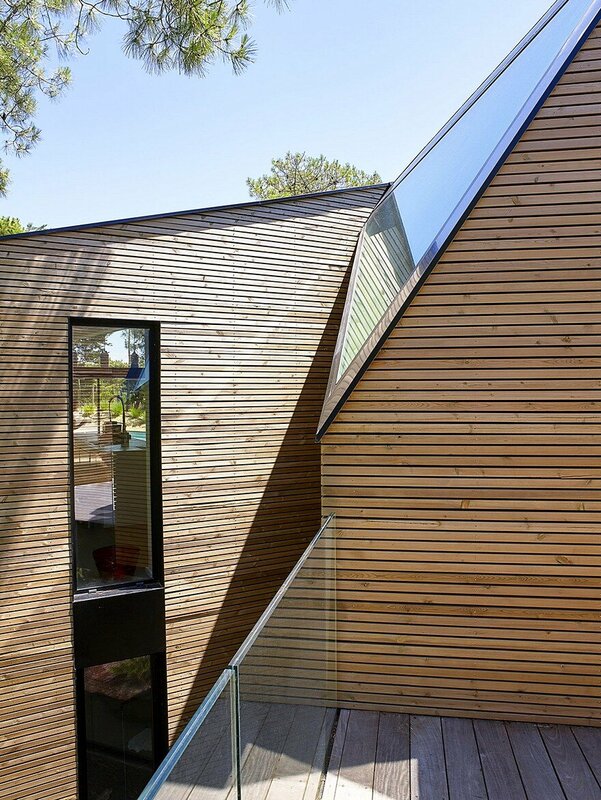 The «cabins» are connected to one another through a series of terraces. 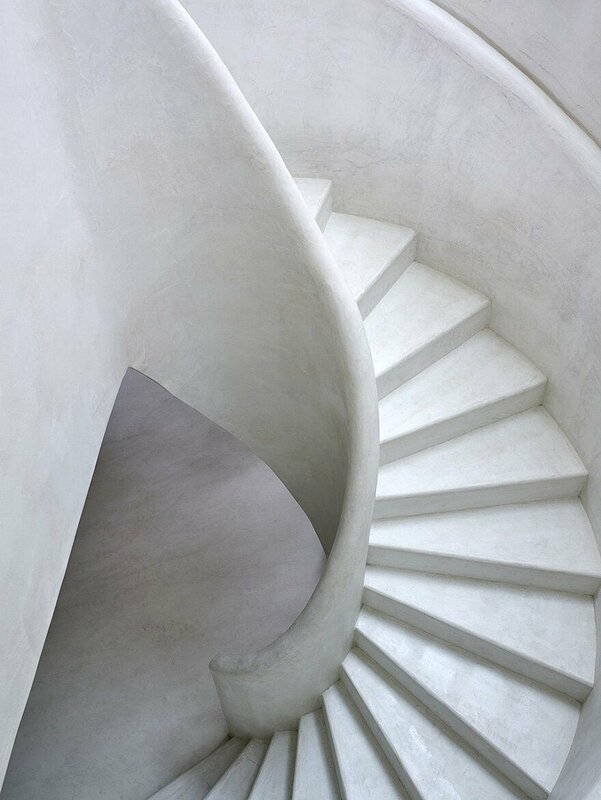 A large internal curved lines stairway exists in counterpoint to the triangular openings and the other diagonal lines that frame the views of the surrounding nature.